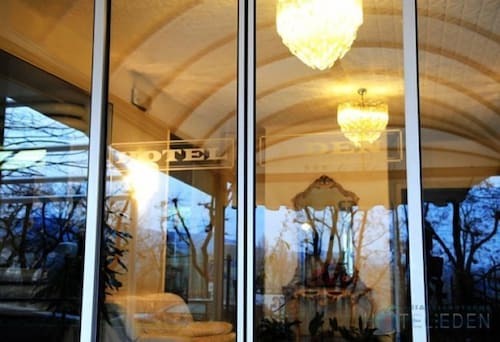 Situated in Chianciano Terme, this hotel is steps from Val di Chiana and Terme di Chianciano. Piazza Italia and Piscine Termali Theia are also within 15 minutes. 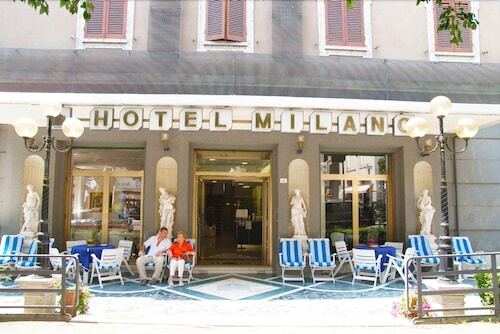 Located in the heart of Chianciano Terme, this hotel is within a 5-minute walk of Val di Chiana, Piazza Italia, and Terme di Chianciano. Piscine Termali Theia and Chianciano Art Museum are also within 15 minutes. 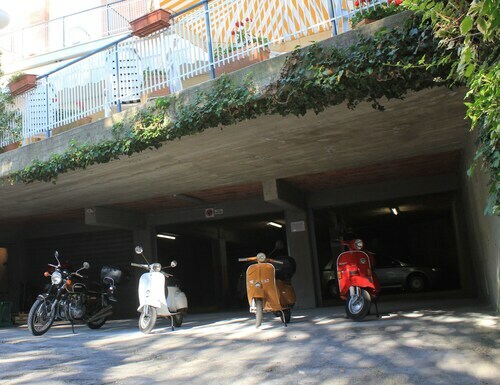 Thinking about a trip to Parco Acqua Santa? You'll find it in Val di Chiana, a journey of 85 miles (137 kilometers) from the nation's capital, Rome. 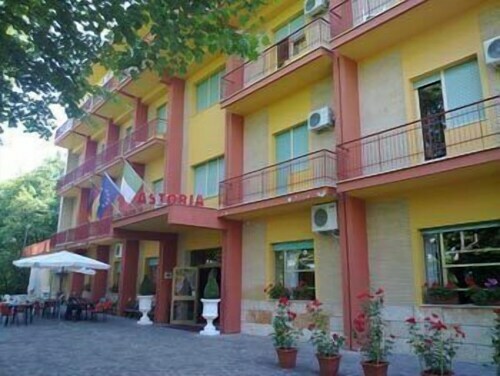 Every traveler wants to check out Parco Acqua Santa while they are here, so it makes sense that there is a wide range of accommodation options within walking distance. With no less than 34 possibilities within 0.6 miles (1.0 kilometer), you shouldn't have any problems finding just what you need. Once you're ready to begin your search, take a look at the Alexander Hotel Palme, Grand Hotel Admiral Palace and Grand Hotel Ambasciatori Wellness & Spa. If you're on a tight budget, you will be pleased to find out that there are a number of accommodation solutions that lean towards the cheaper end of the spectrum. The Agriturismo La Pietriccia, 1 mile (2 kilometers) away, and the Villa Dionori, 0.5 miles (0.8 kilometers) away, are two to get you started. 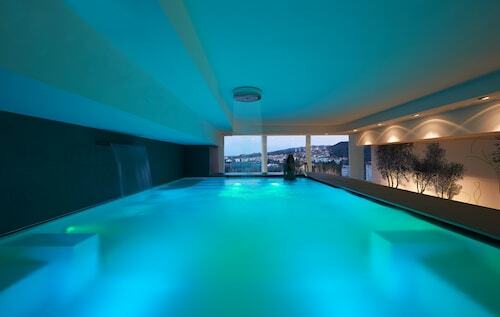 Take pampering yourself to another level by choosing one of the sophisticated hotels that are a quick drive away. 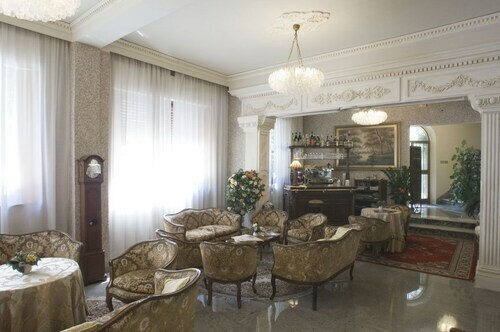 You can reserve a room at the Grand Hotel Excelsior or the Grand Hotel Milano, just 0.3 miles (0.5 kilometers) and 0.2 miles (0.3 kilometers) away, respectively. If you're feeling a bit worn out from all your exploring, have a rest and enjoy a much-needed caffeine break at caffe kemathy, just a short walk away. If it's a hearty dinner that you're looking for, try Hotel Patria, a nearby venue that's loved by locals and travelers alike. Anybody who is a fan of a drink should also visit Celtic Pub, another short stroll away. Calm your soul and mind by paying a visit to the beautiful hot springs of Piscine Termali Theia. Give your eyes a treat and explore the creative works at Chianciano Art Museum, a well-known art museum which should headline your list of cultural attractions. Looking for some green space to have a family picnic, a relaxing stroll or simply sit in the sun? 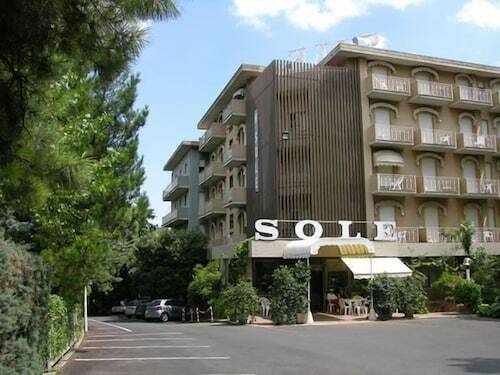 Head over to Terme Sant'Elena. The rare and unique exhibits at Archaeological Civic Museum are sure to make you feel like you've traveled far back in time. 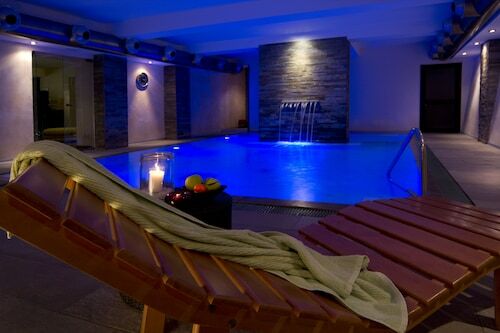 Make the journey to see the wonderful hot baths of Terme di Montepulciano Spa. 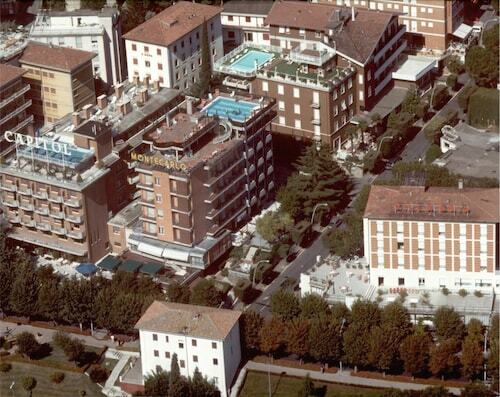 How Much is a Hotel Room in Terme di Chianciano? 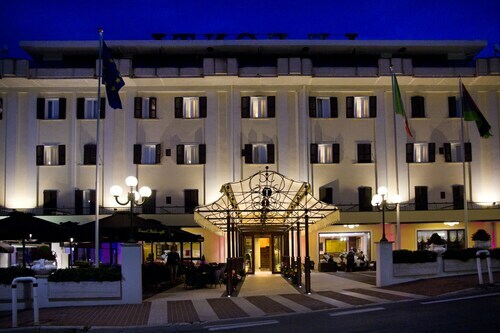 Hotels in Terme di Chianciano start at $40 per night. Prices and availability subject to change. Additional terms may apply.